Would you like to upgrade your jeans look without any effort? 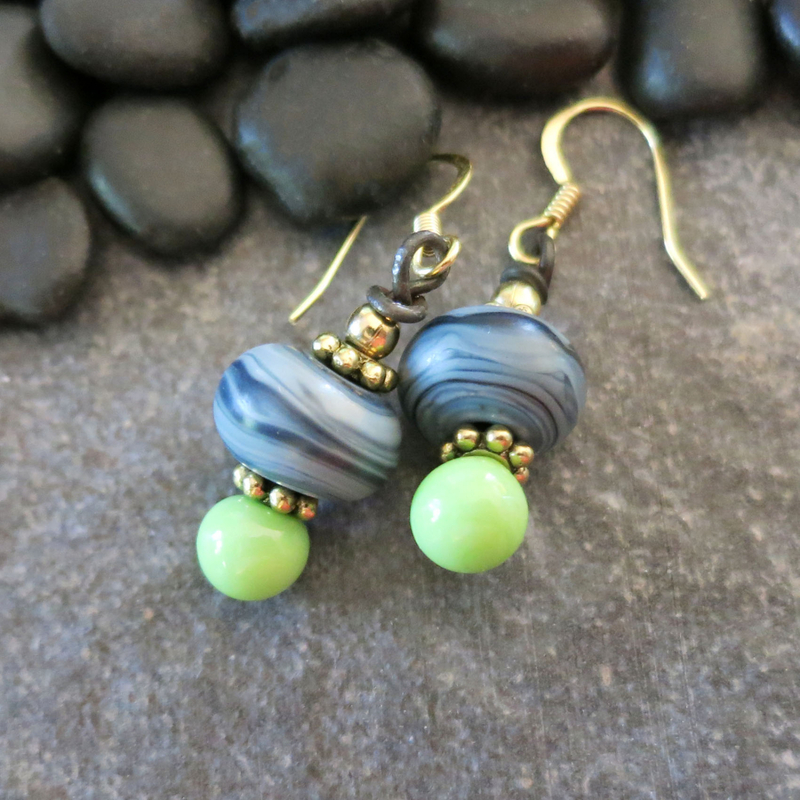 These denim blue and green earrings are just the trick. 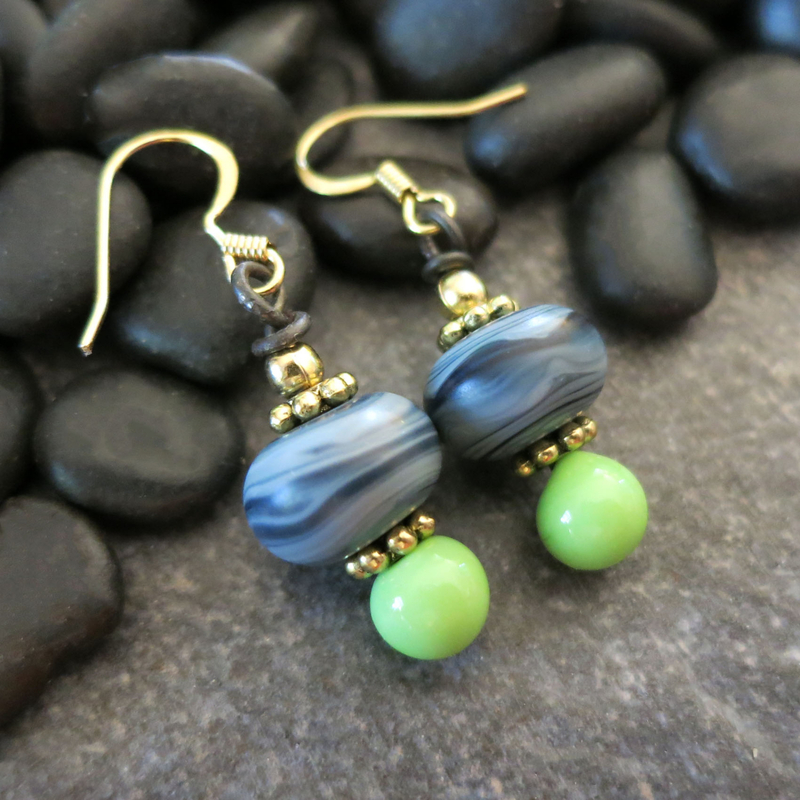 Featuring handmade, lampwork glass in 2 versatile colors, they will look great with jeans as well as business casual outfits.The blue beads are etched to a silky, satin matte finish, while the green beads have the glossy finish one usually associates with glass. 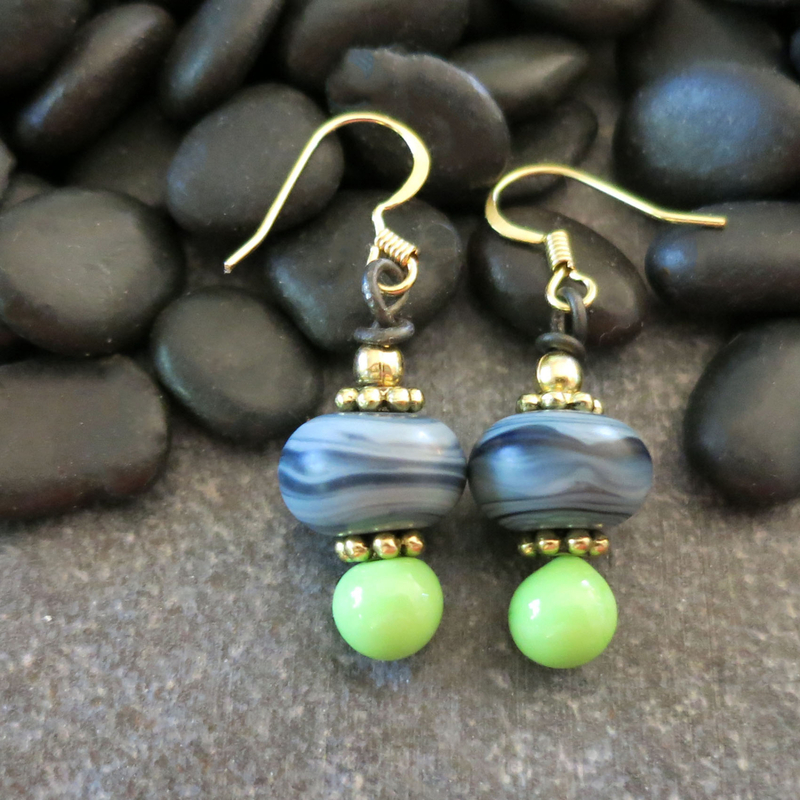 These one of a kind earrings will become your go-to favorites. 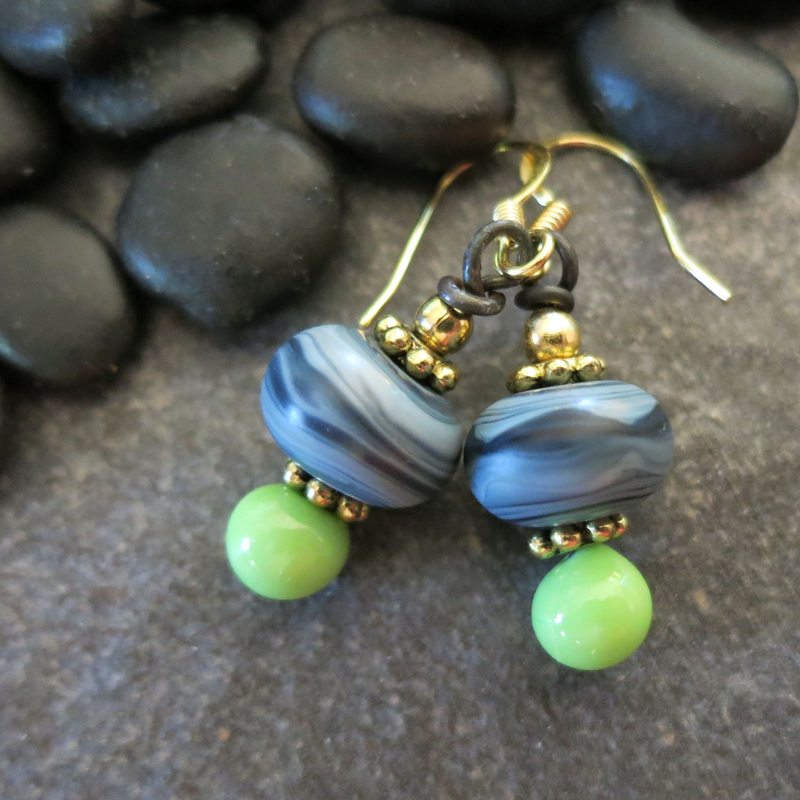 The earrings are about 1.25 inches long from the tops of the ear wire.